Click on Sailing cyclades to know more about destination airports, flight schedule and how to mix your own tour. Click on Sailing dodecanes to know more about destination airports, flight schedule and how to mix your own tour. 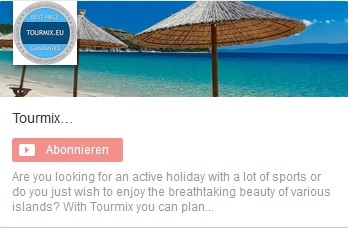 Click on Sailing Ionian to know more about destination airports, flight schedule and how to mix your own tour. On the tracks of the most beautiful bays among the Greek islands: Cyclades, Dodecanese and the Ionian Islands. 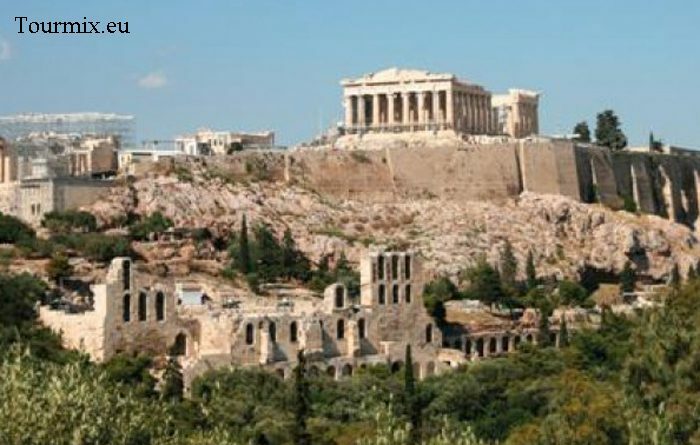 Experience the fascinating world of Greek islands on board of a sailing yacht. You can spend fantastic days on the yacht in a cabin alone, by two or with a group (max 6-7 people) in 3 cabins plus saloon with kitchenette and sanitary facilities. The memories of these adventures will surely stay forever in your head. Plenty of sailing tour opportunities are possible with us. Sailing knowledge, even the basics, are not even required on any sailing tour. However, captains will be more than happy if you have some skills or previous experiences of sailing and can give them a hand when needed. You can either choose one of our sailing tours or mix your own individual tour. While sailing, the captain will provide you with pieces of advice and support at any time. 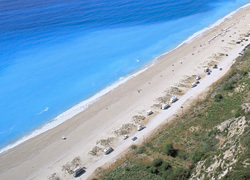 According to the CNN viewer’s survey on the best beaches in the world, Lefkada islands come second. 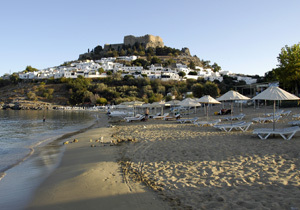 The beaches on Naxos and on smaller Cyclades islands like Kea and Sifnos are very popular among sailors. Dodecanese islands like Rhodos, Kos and Patmos are popular all over the world, but Kassos and Tilos remain quite unknown to the general public. 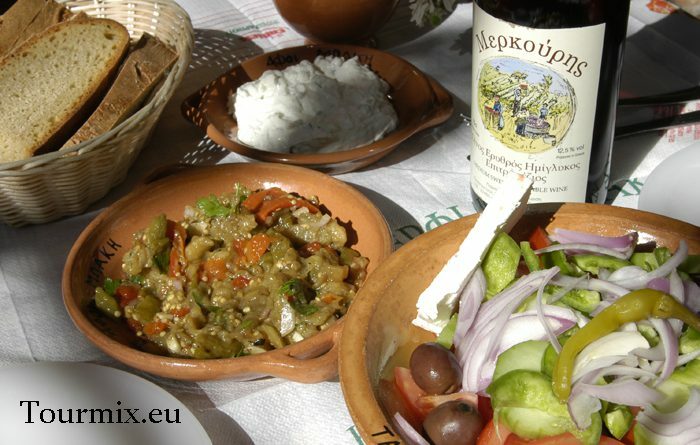 Sailing tours in Greece will allow you to discover the most beautiful, though unknown, places of Greece. 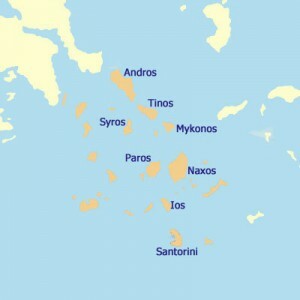 The island group of Cyclades is situated in the blue surge of the Aegean and consists of 56 small islands, that are placed in a circle (Kyklos= Circle). 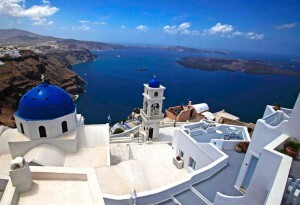 Mykonos and Santorin is the most famous islands of this island group. They are especially popular among sailors, cruise passengers and the international Jet-Set. But there are many nearly untouched islands, which are usually passed by tourists. Like a “stone horse with wavy mane” (Odysseus Elytis) dive into a bright dazzling light of the sea with white cube houses, strewn with whitewashed Chapels and typical round Windmills. Despite the islands have a lot in common – beaches and sea, landscape and architecture – each island of Cyclades has its own unique atmosphere. You can personally make sure of that while sailing Cyclades. 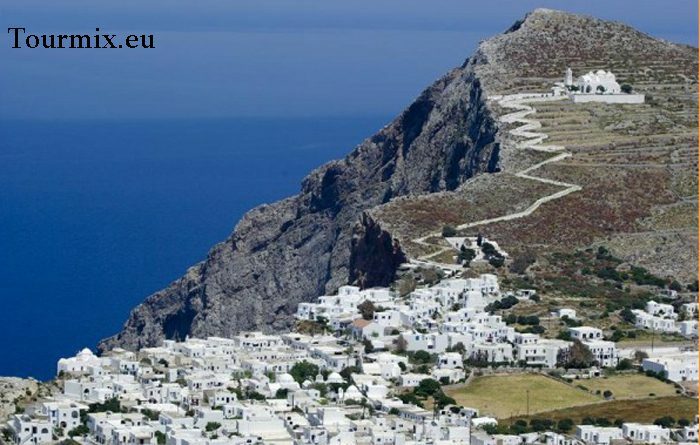 Cyclades has Mediterranean climate, whereas the hot, dry summer is cooler than on the continent because of occasionally North-Winds (Meltemi). A sailing cruise on Dodecanese takes you to known and unknown places, or small and big islands in the southeast of Greece. The traditional Karpathos with its beautiful beaches is always worth visiting. Sailing to the southern tip from Rhodes, brings you to the beautiful sand and surf beaches of Prassonissi. On the West side to the biggest island of Dodecanese, is located Chalki with its pretty fish ports, old captain houses and the famous Crusader castle. After that, you may want to continue your trip to Kastelorizo, which is in the North. It is definitely worth walking a long time to see a superb complex of monasteries on the traditional island of Symi, where you can spend a nice evening in the main city of the island. The partially populated island Tilos offers sand and pebble beaches, as well as many places to admire. Nissyros will show its true character only to those, who dare climbbing up its hillsides. The next coming island is Kos, on which for every hiking lover, visiting villages on craters will surely be an exciting experience. Kardamena and the city of Kos offer a hectic and fascinating night life, whereas their long sand beaches offer great spaces for water sports. 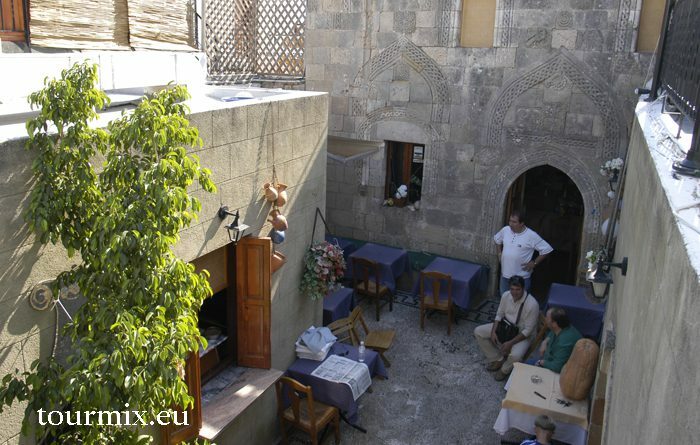 In the middle of the Cyclades is located Astypalea with its ancient city and the Crusader castle. There exists a direct way to Kalymnnos, where you will find gorgeous monasteries of monks and nuns. 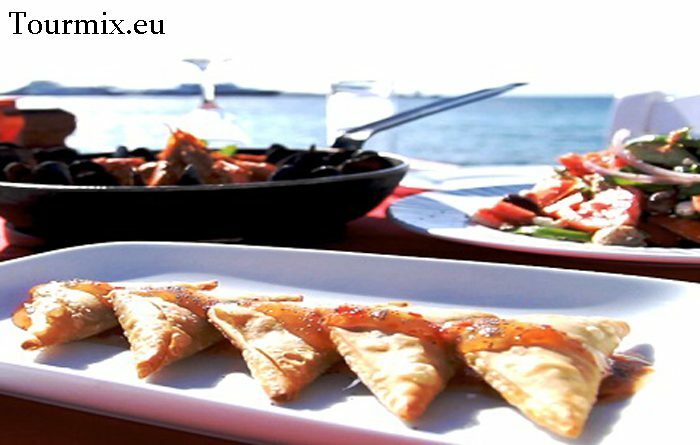 Finally comes Leros, which despite its nice touristic infrastructure and its many sightseeing places, remains out of the center of the tourists’ attention. 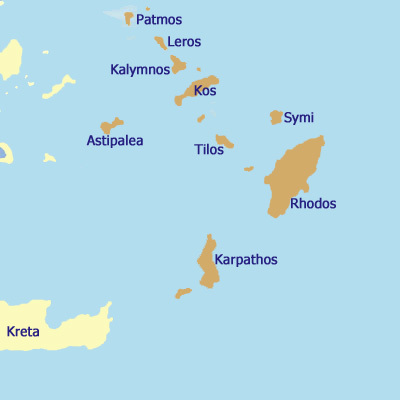 Rhodos, Kos, Kalymnos, Karpathos, Leros, Patmos, Simi, Tilos, Nisyros, Chalki, Kassos, Asipalea, Kastelorizo, Lipsi, Agathonisi are part of the Dodecanese. Very old olive groves towering never-ending beaches and bays form the landscape of the Ionian Islands. Here finished Ulysses’ Odysseus. Gastronomy, art, architecture, but also sport enthusiasts will not be disappointed by what the Ionian islands have to offer. The Ionian Islands have played a role of link in the chain for more than six hundred years between Greece and western Europe. This led to the creation of its unique culture and composition of villages and cities. The wind is not as violent as on the Aegean sea, and for this reason, it might be the best sailing area, especially for beginners. Many picturesque harbors will also attract experienced sailors. Among the olive groves, which are as old as the hills, rise slender cypresses. Not only according to CNN are the most beautiful beaches in Europe situated in Zakynthos, Kefalonia and Lefkada (Lefkas), but also are on Lefkada the second best beaches in the world. The long sand beaches, wild and always green bays attract many tourists, but also hikers and discoverers. 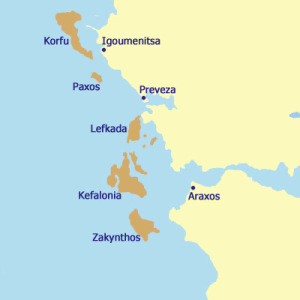 Ithaka, Kefalonia, Lefkada, Paxi, Zakynthos, Kalamos arepart of the Ionian islands.